If a picture is worth a thousand words, we’ve had much to say in the digital age. While it might be easy to get lost in the noise, some images echo louder and longer than others, perhaps due to their creativity or the person or moment in time they captured. 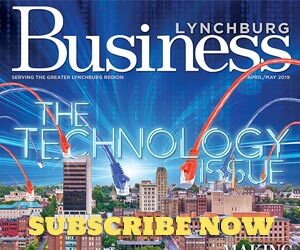 Telling those stories in the best possible way is exactly what the team at Lynchburg Photoworks, at 17860 Forest Road, seeks to do. One step into the shop and the possibilities of how one imagines a photograph can tell a tale are immediately expanded. A nature shot pops in vivid color, easily mistaken for a painting as it’s mounted on watercolor paper. The intensity of a stylized sports action shot is heightened when printed on aluminum. From mounting a photograph to creating a wall-sized photo or graphic, Lynchburg Photoworks is limited only by the imaginations of its clients. The shop is a great place for creative gifts, such as a photo printed on slate for the grandparents, images on flip-flops for a wedding party gift, or a business outing memorialized on acrylic. And for experienced and admitted novice photographers alike there is perhaps no better place to find the right way to display a photo—or even to design an entire photo wall for the sitting room. Wheeler and his employees work with customers to find the right type of surface for the environment, taking into account the possibility of water damage, for example, as well as (and, equally important) the story that is being told with the image. Wheeler started the store after Cardinal Camera, where he had worked, left the area. Then a customer offered to invest, with the help of some friends, in a new camera store. With an understanding of the market, Wheeler decided to focus on printing as the main source of revenue. He said that people tend to find good deals for camera equipment online and that stores cannot really compete with that. “The brick and mortar stores need to really focus on what it is they do better than anybody else: provide expert service, provide expertise in photography in a way that people want,” Wheeler said. Though printing might be the store’s bread and butter, its services are vast. From web and logo design to event photography, including birthday parties, corporate gatherings and weddings, Lynchburg Photoworks is a start-to-finish location for a number of creative needs. There is even an in-store portrait studio. Lynchburg Photoworks also offers rentals, a service that helps customers, either with a short-term need without having to purchase expensive equipment or to test something out to see what they like. “I don’t stock everything in the photographic world, but I stock most of the common items people would want to shoot with,” Wheeler said. Another niche Wheeler has honed in on is education. A number of beginner and specialty photography and image editing classes are taught at Lynchburg Photoworks, with Wheeler and another local photographer splitting the load. He added that he embraces YouTube tutorials and other forms of learning. That integrity is part of the heart of Lynchburg Photoworks; primarily, it is a place of community—creative community—before it is a business. “I am not always looking to make a dollar, but I am always looking to build a relationship,” Wheeler said. Wheeler said he offers discounts to students and members of many of the photography groups in Lynchburg. “I am going to reward people that are seeking to learn,” he said. 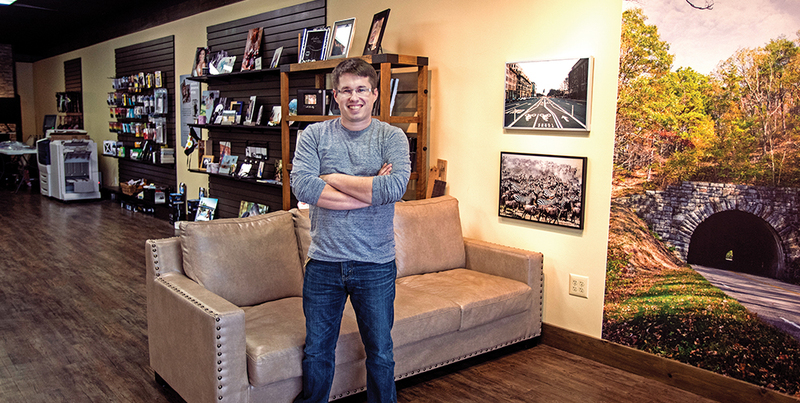 Interacting with artists, whether vocational or self-proclaimed amateurs, is what makes the world of Lynchburg Photoworks so satisfying for Wheeler and his three employees. Connect with the shop at LynchburgPhotoworks.com.